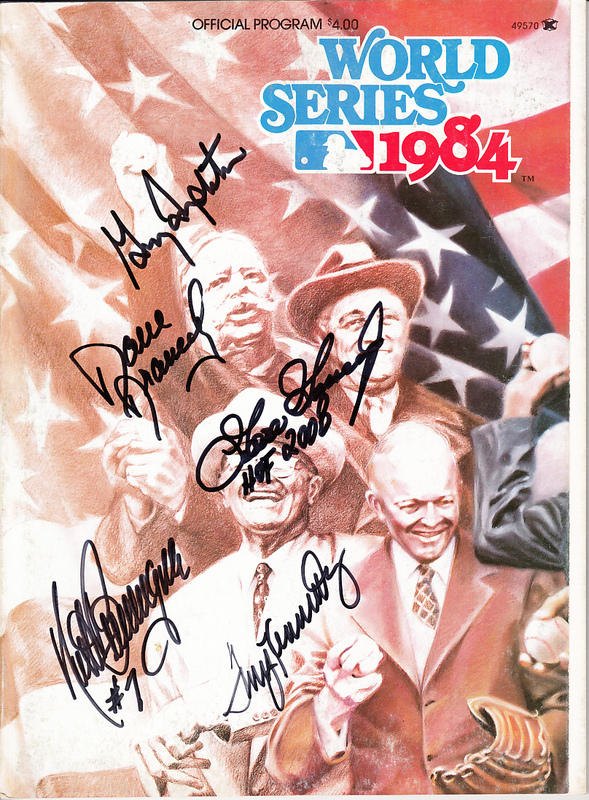 1984 World Series program autographed in black marker on the cover by five key players from the San Diego Padres National League Champions team: Hall of Fame closer Goose Gossage, pitcher Dave Dravecky, catcher Terry Kennedy, shortstop Garry Templeton and utility player and pinch hitter Kurt Bevacqua. 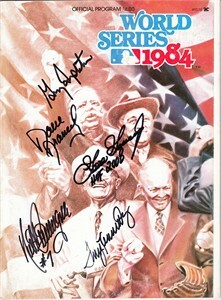 Witnessed and authenticated by MLB with their numbered hologram on the inside cover (Gossage was added later). With certificate of authenticity from AutographsForSale.com. HAS MINOR TO MODERATE SURFACE WEAR. ONLY ONE AVAILABLE FOR SALE.